Monicas Rants Raves and Reviews: Cooler Kitchen EZ-Grip Tongs are Awesome! Cooler Kitchen EZ-Grip Tongs are Awesome! Do you have a favorite pair of kitchen tongs that are you go-to for most of your cooking? 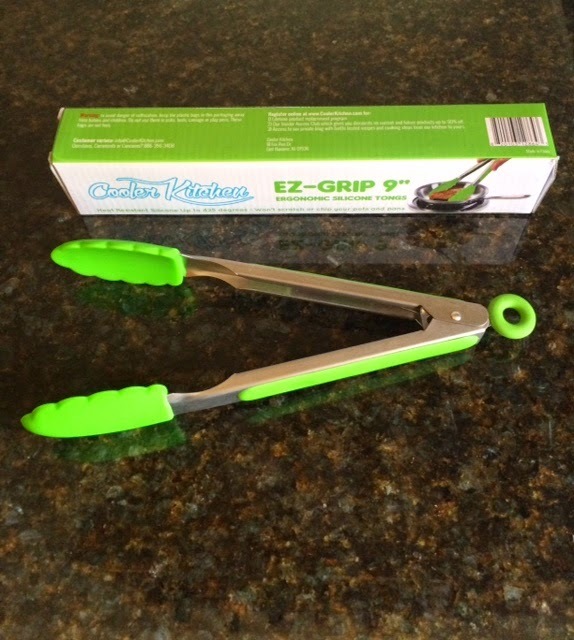 I have that pair now that I was given the opportunity to review the EZ-Grip 9" Tongs! The Cooler Kitchen's EZ-Grip Tongs are perfect for cooking, flipping steaks, tossing salads or even dipping your favorite fruit in chocolate. They are made with premium food-grade silicone, so they are non-toxic and BPA free. The tongs are made of thick stainless steel so they are very sturdy and are built to last. The tongs have a heat-resistant silicone grip that protects your hands from burns and they are heat resistant up to 420 degrees. They won't melt or flake in your food during cooking like nylon or plastic tongs will. The tips don't scratch your cookware or non-stick surfaces. I like the 9" length which is perfect for use in those hot situations like the grill. The EZ-Grip Tongs are pretty enough to hang up and display which you can easily do since they have a loop lock at the end that you can use to close when you put them in a drawer. I put them right in my dishwasher and have experienced no problems whatsoever with them. Priced under $10 on Amazon, they are worth every penny and I highly recommend getting a pair of your own! 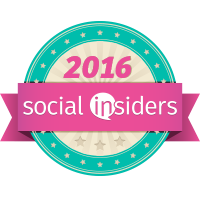 Disclosure: Monica's Rants, Raves & Reviews received products and/or compensation in exchange for my opinion and to facilitate my review. However, my opinion remains my own. I am not responsible for prize shipment. This giveaway is void where prohibited by law and is in no way associated with any form of Social Media.